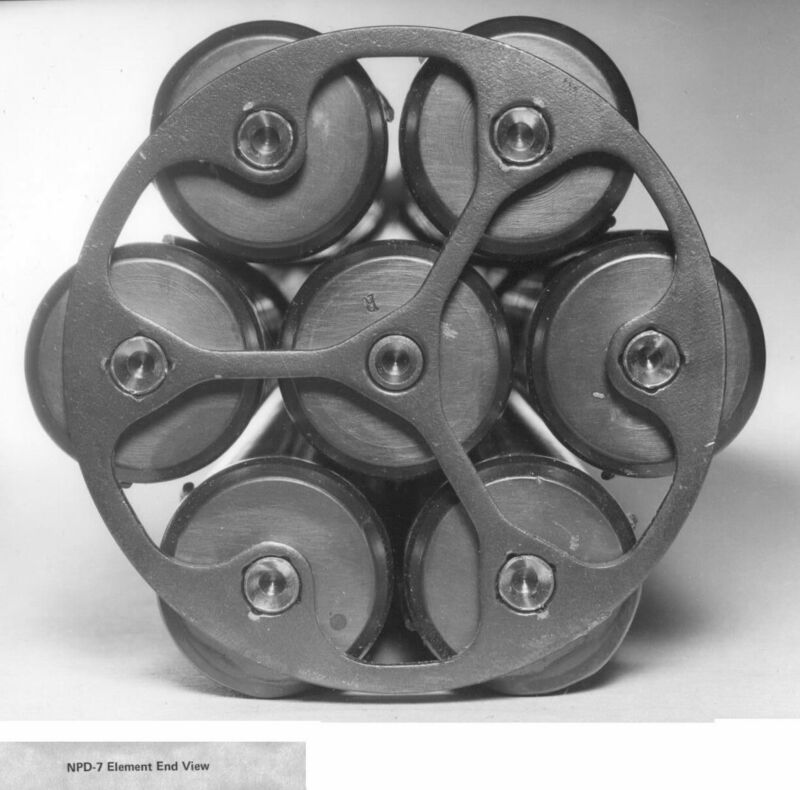 This is an end view of one of the first NPD 7-element fuel bundles. They were assembled by riveting the elements to the thick end-plates. Later Tungsten-Inert-Gas (TIG) welding was used and later resistance welding to thinner end-plates, thus improving the neutron efficiency of the fuel.